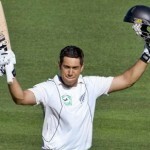 The Kiwis declared their first innings after hammering 9-609 and reached 79 for the loss of four wickets in the second. The Caribbeans managed just 213 runs in the first followed by a massive 509 in the second innings. Ross Taylor (New Zealand) was declared ‘Player of the match’ for his superb unbeaten knock of 217. The first Test of the three match series concluded on Saturday, December 7, 2013, at University Oval, Dunedin. Earlier, the Windies started the final day at 6-443 after utilising 139 overs whereas Darren Bravo and Darren Sammy were batting at 210 and 44. The first was gone after adding eight runs to his overnight score and the latter completed his fifth Test fifty in the 144th over. 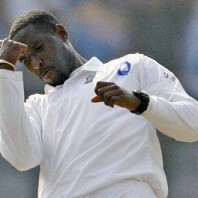 Darren Sammy kept on resisting while the wickets were falling at the other end after brief partnerships. 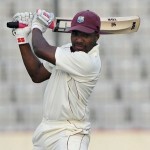 He was the last batsman to be dismissed for 80 as West Indies smashed 507 after 162.1 overs in their second innings. Neil Wagner was the chief wicket taker with three, Tim Southee, Trent Boult and Ish Sodhi shared three each whereas Corey Anderson held one wicket. The Black Caps required just 112 runs to win the match with approximately 10 minutes batting before lunch and two complete sessions later on. The skipper of the Windies, Darren Sammy, introduced the right arm off spinner, Shane Shillingford, into attack from the second over. He removed two top order batsmen of the home side as the score touched 15. Shillingford continued with his quality spin bowling and Brendon McCullum became his fourth victim at 44. Ross Taylor along with Corey Anderson stabilised the innings when rain stopped the play few minutes before the tea interval. The game was called off because of the consistent rain as Taylor and Anderson were at the crease for 16 and 20 at the score of 4-79 in 30 overs. 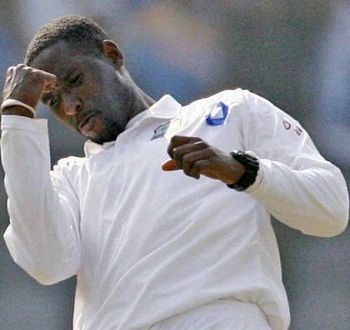 The first Test ended in a draw and West Indies averted a definite defeat because of the weather.